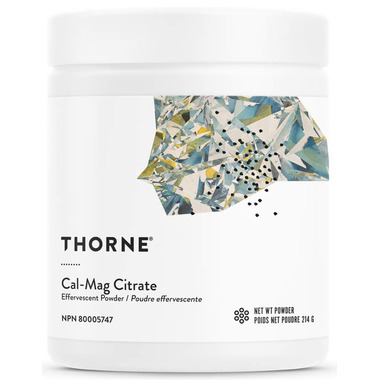 Cal-Mag Citrate Effervescent Powder is an easy-to-consume form of calcium-magnesium supplementation. The effervescent quality of citric acid increases the bioavailability of citrate mineral chelates. Cal-Mag Citrate Effervescent Powder provides 500 mg calcium and 200 mg magnesium per scoop. This ratio is especially desirable for individuals who need higher amounts of calcium but who, because of magnesium’s laxative-like character, cannot tolerate an equal amount of magnesium. One scoop also provides 500 mg of vitamin C.
Take 1 scoop daily or as recommended by a health-care practitioner. Mix with water or juice. Do not take two (2) hours prior to or until four (4) hours after taking other medications. Do not use if security seal inside the cap is broken. Store tightly sealed in a cool, dry place. I have been taking this powder during my pregnancy and while nursing right before bed. It dissolves quuckly make sure you consume right away as sediments will form at the bottom of the cup.